Mega Mud Truck Crashes can go from Mild to Wild. They have got to be some of our favorite motorsports vehicles to film. These Mud slinging vehicles are basically monster trucks with smaller tires. The main difference is they are unlimited on horsepower. Pretty much run what you brung all out style. This makes for some spectacular crashes and unlike rock bouncers when these guys crash it means a ton of times and money in repairs. They feature full bodies either made of sheet metal or fiberglass. They are also built to be as lightweight as possible to give them an edge in the mud. This mean they fold up and break when they crash even in the mud. 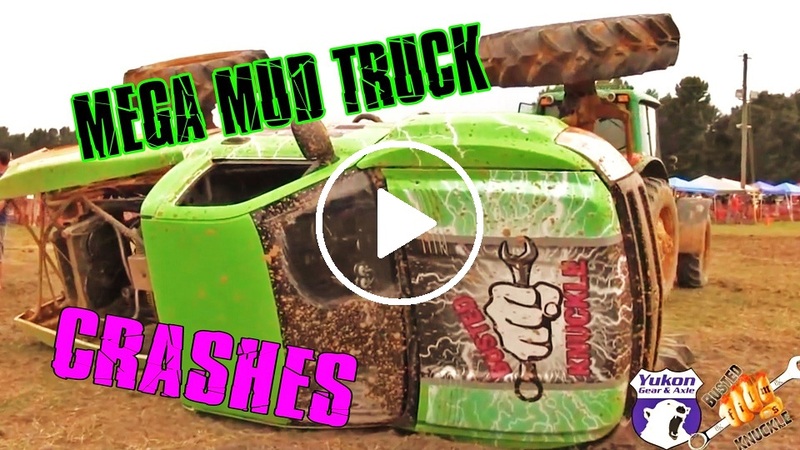 Check out out second installment of Mega Truck Crashes with some of the best Mega Truck Crashes from all over the country during our years of filming the insane sport that is Mega Mud Trucks. For more Mega Mud Truck Crashes check out the Busted Knuckle Video Youtube Channel.